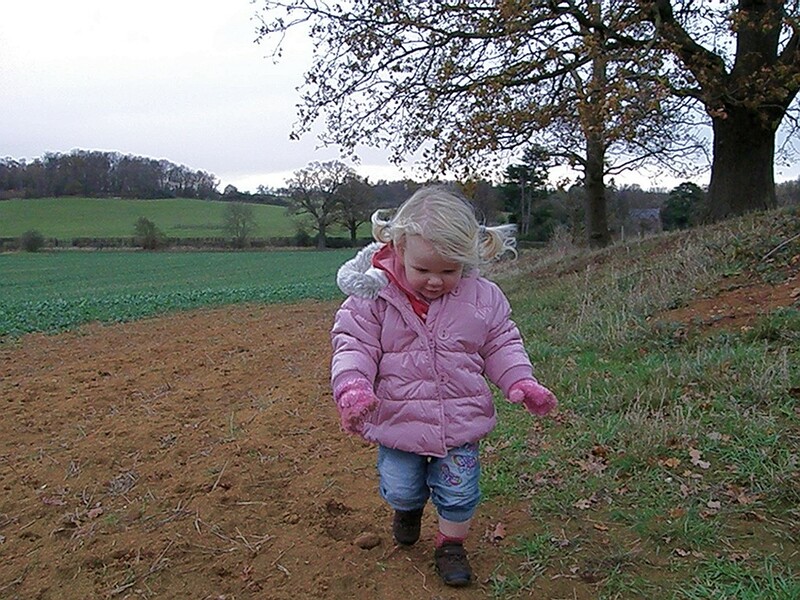 I’ve spent the long weekend at home with Scarlett, catching up on stuff and playing in the garden between downpours. One short note for the diary is that we’ve got some new additions to the BWM household. Four of them, in fact. Four new chickens to replace Mabel and Henrietta who were taken by a fox last year. They’re Magpie hens. 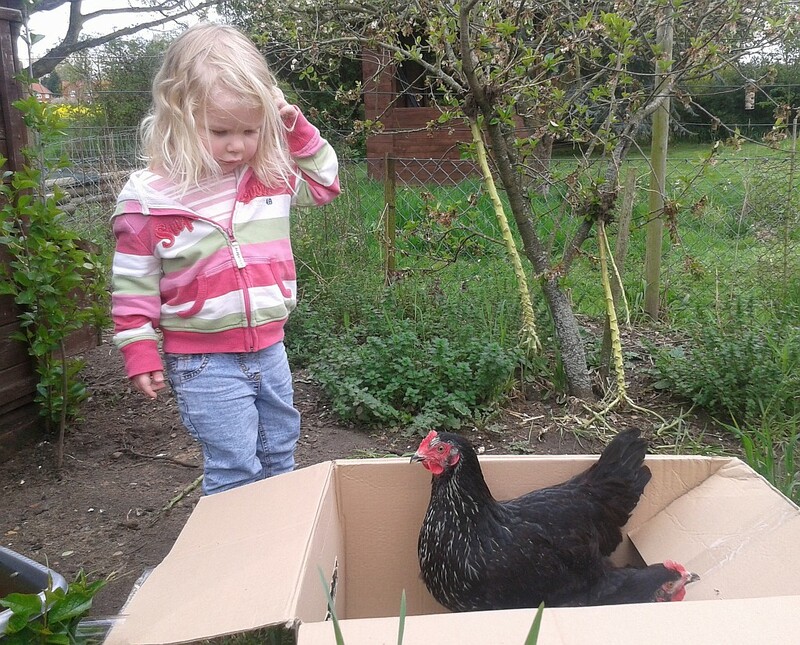 I don’t know much about the breed (I let Scarlett choose them) except that they’re a Sussex hybrid, suitable for our free-range run, and they lay 240 or so brown eggs a year. With Clarissa still laying that works out at about 20 eggs a week. Good job friends and family like eggs! Incidentally, we’ve had no other fox trouble lately. A few days after us and the neighbours lost our chickens, a fox was killed on the road nearby. Maybe coincidence, but we’ve not been bothered since. OK, I haven’t done much for a while, I admit. Mrs BWM has been working at the weekends (including a practice event for the Olympics – she’s a volunteer announcer and they were having a dry run) so I’ve been on parenting duty and confined to home except for the odd short walk. I remember the good old days when Scarlett was little and she’d happily be carried for hours. Not any more. But this is still my diary, so I have a few things to note. Firstly, I came across another dead badger on the main road. I saw it this morning on my way to the shops, in almost exactly the same place as the road casualty of July 23rd. On that occasion the dead badger vanished, causing me some confusion. I looked closely at this one, to make sure that I wasn’t imagining it. Good thing too, as by the time I came back an hour or so later, the badger had disappeared. There must be a sett around here somewhere; and I can only imagine that, being a main road, the bodies get picked up pretty quickly. I wonder how many road casualties occur that I don’t notice, even in our village? While we’re on this morbid subject, we’ve had some trouble from a fox attacking chickens lately. There are at least a couple of foxes locally – I see their tracks regularly – but not nearly so many as we had in London. This is pheasant country, and there are rearing pens around the village. The keepers are not fond of foxes. Probably not fond of any other carnivores either, but certainly not foxes. Incidentally, a couple of years ago a fox got into the penguin enclosure at the nearby safari park and wreaked terrible havoc among the young penguins. Foxes were even less popular around here after that, I can tell you. Anyway, our neighbour lost one chicken last week, killed in daylight. A couple of days later, our own Mabel went the same way, a patch of feathers telling the story. Poor Henrietta had a narrow squeak but escaped with cuts and bruises, only to fall victim on Friday. So it’s RIP Mabel and Henrietta. They’d had a good life – four and a half years – with no trouble. They have a fox-proof house in which they sleep, but this is the first time we’ve had a fox in the daytime, hence their run is not fully protected (which takes either a 6-foot tall dug-in fence, or an electric one). On the whole, I like foxes. They are attractive, interesting to watch and great survivors. They do what they do, not out of spite or malice, but to eat and live. But I love them a little less after this. It’s nice to think that although we’re in the middle of the dark and the cold of winter, warmer and brighter days will come again. One of the key dates each year is the winter solstice, when the days start getting longer. Another is the first egg of the new year. Chickens stop laying in late autumn when the long nights begin, and they start laying again in the new year when the days have reached a particular length. 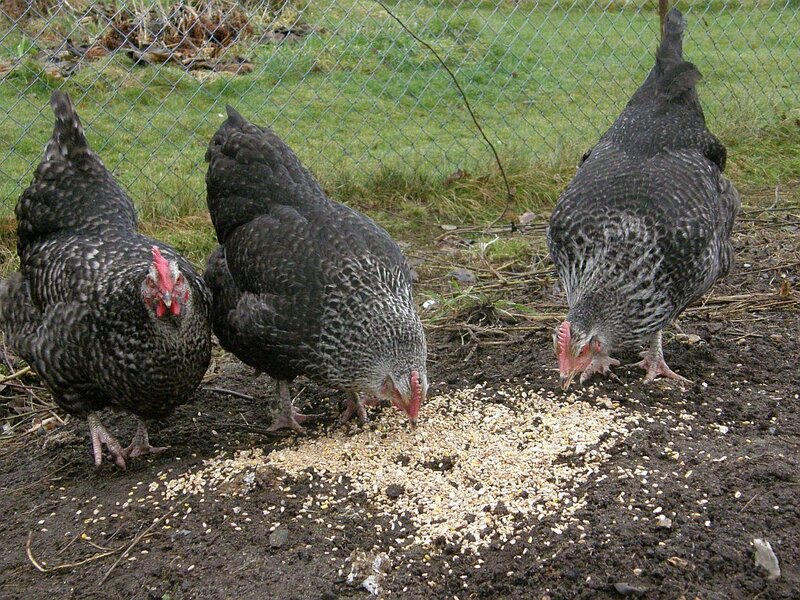 I had the first egg today from my three chickens – Clarissa, Mabel and Henrietta. I’ve kept a note of this date for the past three years now, and it is consistently in the last week of January. I now know when I can expect to have eggs again. It may not sound very important, but we’ve grown accustomed to tasty, fresh eggs from our free-range hens. I don’t like having to buy eggs from the supermarket. They’re not the same, believe me.